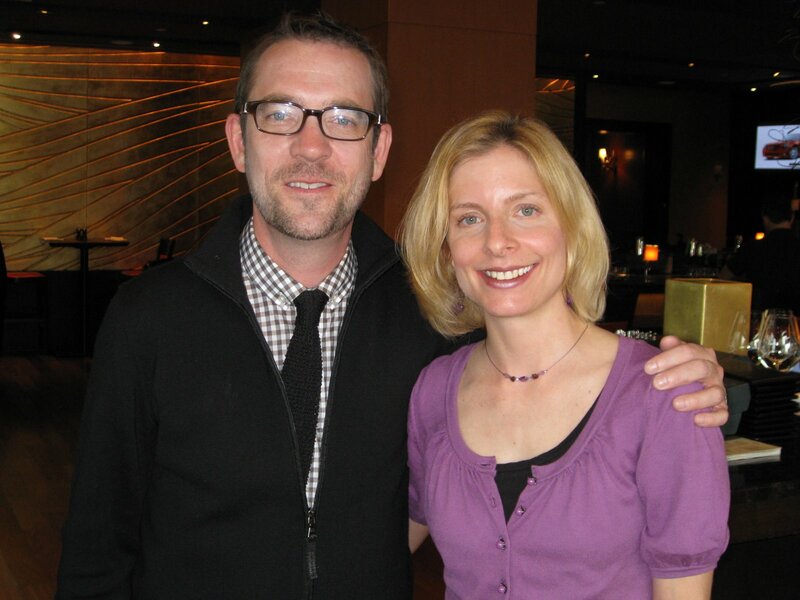 Last Friday, I got the chance to meet, taste wine and chat with Ted Allen. This former co-host of Queer Eye for the Straight Guy is busy these days as judge for the Food Network's Chopped, and spokesperson for Robert Mondavi wines--a role he has had for four years. He was in town to promote the Food and Wine Festival at National Harbor this past weekend. For my part, I discovered that Ted and I both really dig Popeye's chicken with sparkling wine (he told me about the time he popped open a bottle of Kristal he got as an appreciation gift from the folks at Bravo when he was doing Queer Eye). And both of us share a love of Veuve Clicquot. It was a fantastic afternoon, and I feel very grateful for the opportunity to have met him.